Cancerous involvement of a ureter is sometimes encountered in pelvic surgery for malignancy. We usually perform transureteroureterostomy (TUU) in cases of unilateral lower ureteral cancerous involvement. We report the outcomes in patients treated with TUU in our institute. We retrospectively reviewed the medical records of 11 patients who underwent TUU between June 2006 and September 2015. 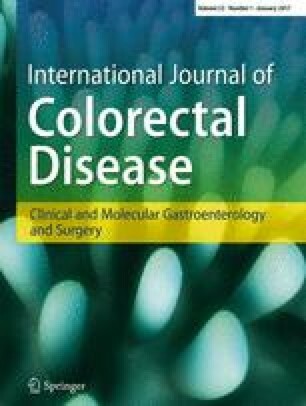 The primary disease was colon cancer in five patients, rectal cancer in four, and uterine cervical cancer and ovarian cancer in one patient each. Early postoperative complications relevant to TUU occurred in four patients; however, three patients were managed conservatively and recovered quickly. Only one patient developed ureteral obstruction, which resulted from anastomotic hematoma. Follow-up periods ranged from 5 to 78 months with a median of 28 months. The median estimated glomerular filtration rate before and after TUU was 59 ml/min (range, 31–90 ml/min) and 62.0 ml/min (range, 43–127 mL/min), respectively. No patients experienced worsening of their renal function or recurrent urinary tract infection. Short-term outcomes are good and long-term renal function is maintained following TUU. TUU is considered a feasible technique for ureteral reconstruction for pelvic malignancy, and TUU has great potential in the era of multimodal therapy.